Rose and I spotted this intricate green beaded suit at Design Indaba and we thought St. Pat’s would be the perfect time to share it with you. But all jokes aside – this crafted masterpiece has an excellent story behind it. It’s handmade by over 40 women from several communities in the Valley of 1000 Hills region, and made up of over 400 individual patches of bead work. 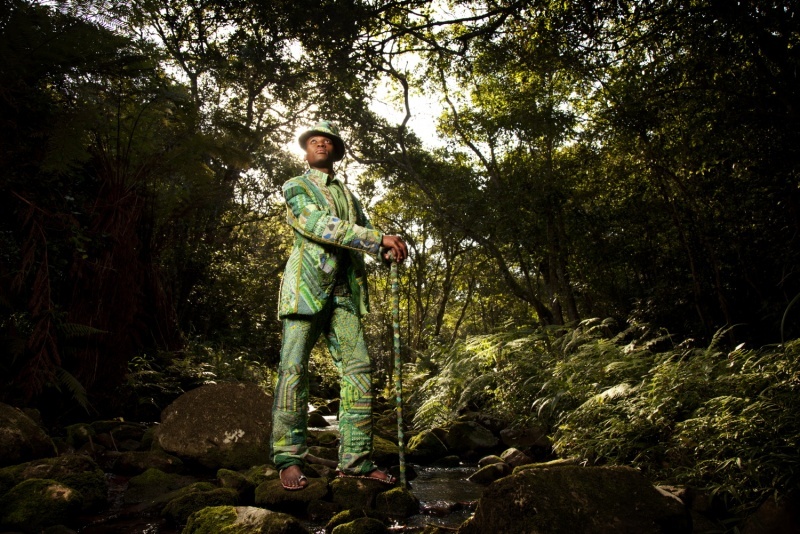 The suit was designed by international award-winning fashion designer, Terrence Bray, for Woza Moya an income-generating project of the Hillcrest AIDS Centre Trust. The project spanned eight weeks from conception to completion and was designed as a “go green” initiative. It also provided an income for the 40-odd women who worked on it. 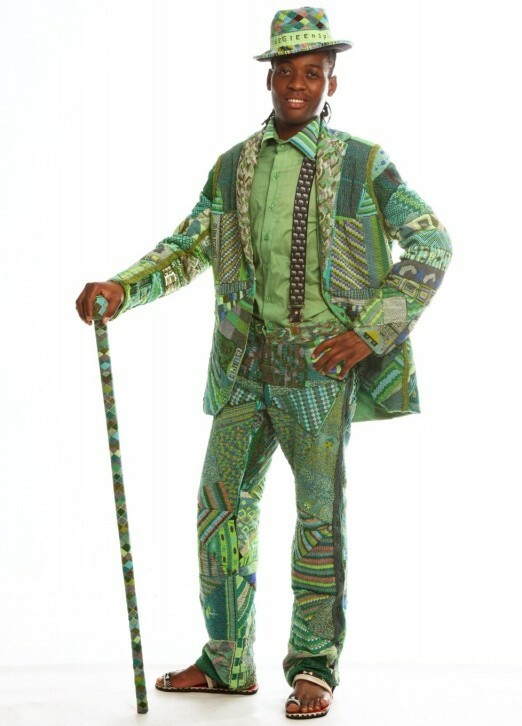 The suit consists of a suit jacket, pants, a top hat and an isagila (a traditional Zulu walking stick). Believed to be the first of its kind in the world, it will hopefully provoke discussion around environmental issues. Words and phrases related to green issues are featured on the suit. 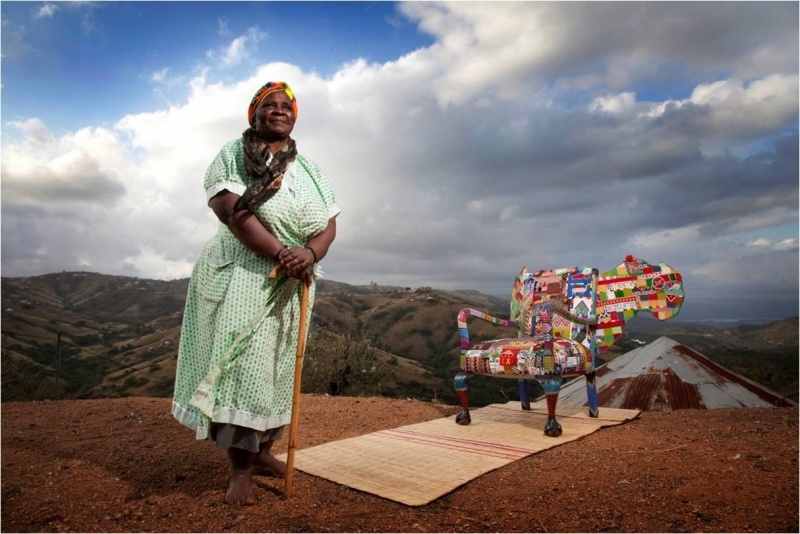 If you can recall, Woza Moya is also responsible for last year’s Most Beautiful Object in South Africa winner, The Dreams for Africa Chair, which symbolises hope and the importance of dreams, whilst also raising HIV/Aids awareness. On display at this year’s Design Indaba, the chair usually travels around South Africa and abroad. A happy St. Paddy’s Day to you all! Now that’s one classy suit! We all be goin’ green!